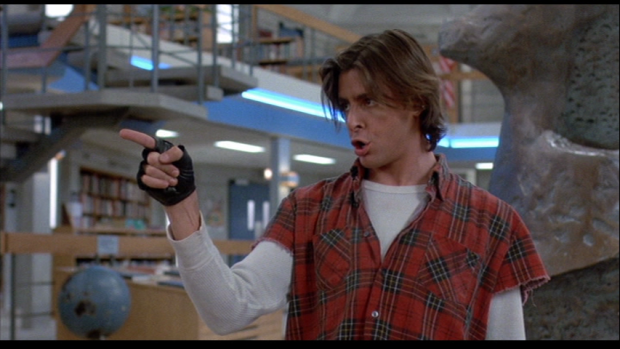 The Breakfast Club, a motion picture film, demonstrates an excellent vehicle for specific sociological perspectives. The movie incapsulates adolescents in the 80’s, stereotypical characters and the relationship between social stigmas and achieved status. The Breakfast Club holds a contempt for adult society but also highlights how teenagers are characterised and how they deal with stereotypes and subcultures. The movie is clever in the way it uses the main setting, the library, as a conflict perspective, emphasising an underlying competition and constraint within society. Its functionality drives a heart to heart dream sequence of honest and emotive character story telling. Make no mistake, The Breakfast Club clearly symbolises interactions among these stereotypes leading the audience to mutual common ground. Each student in this film is from a different social group or is clique. You have the brain, the athlete, the princess, the basket case and the criminal. The Breakfast Club is well constructed using the ideas of stereotypical characters to enhance the main purpose of structure and function of human society. I really enjoyed how the film shows a sense of identity and confronting development in adolescent relationships. These relationships dwell at the core of teenage life and experience. The Breakfast Club and their stereotypes provides group affiliation and supplies a source of status, reputation and motivational properties. The characters are well written, designed and set boundaries between the groups. This film is flexible, rigid and unforgiving in certain scenes. The reason The Breakfast Club is successful is because it is set in a parallel universe, Saturday detention, where these stereotypes under normal circumstances would never even speak to each other. This punishment creates another world where stereotypes and divisions are set aside, allowing each character to move beyond their norms and distinctions. The Breakfast Club does not live up to a stereotype but cleverly dictates the important message; stereotypes don’t define society but the way society behaves, defines society.